“Informed consent can be effectively exercised only if the patient possesses enough information to enable an intelligent choice,” The American Medical Association, 1999. What can I do to protect my child from psychiatric labeling and drugging? As a parent/caregiver, you have a powerful voice for affecting change. You can do something about the coerced drugging of your child through the public schools, and your actions do make a difference! With parent voices, AbleChild was able to get the first of its kind Federal legislation, the “Prohibition on Mandatory Medication Amendment” passed into law under IDEA. This new law prohibits schools from recommending or requiring that a child take a Controlled Substance (Includes Prescription Drugs such as Ritalin, Adderall, Concerta, Dexedrine, Dextrostat, ect.) in order to attend school. All caregivers can use this Federal law to stand up to State run schools. Federal outweighs State. Be Your Child’s Biggest Advocate! As a parent you have the ability to arm yourself with knowledge. You can print out the below materials and submit them to your child’s school asking that they be included in your child’s file. This information lets the school understand some basic facts. First, that psychological testing on your child is not a mandated process and that you as a caregiver can and do “opt out” of it. Secondly, it will provide the school with the Federal Law. Lastly, it will provide some important information on ADHD and stimulant drugs to the school that they might not have already known. Hatch Amendment an Additional Tool to Support Your Right to Refuse. “OPT OUT” as Opposed to “Opt In” – Education Policy Changes that Affect Your Right to Information and Prevents Full Informed Consent. Today many parents are not aware that schools are allowed to conduct mental health screening on their children in subtle ways that can lead to a mental health diagnosis and a prescription for a psychiatric drug. Many schools have implemented an “Opt Out” policy as opposed to the “Opt In” policy of earlier years. An “Opt In” policy is where a parent is given the information that the school will be offering to their child (a program, a film, a speaker, ect…) and that parent would have to provide permission for this. Today the “Opt Out” policy makes it a fact that all children are included “IN” something unless the school hears, or sees a note, from a parent stating otherwise. In other words, your child is considered to be “Opting In” unless you speak up and “Opt Out”! In many instances, these seemingly harmless programs that are offered are never discussed with the parent. Parents might not have any knowledge that their child will be receiving anything outside traditional education, all those things geared to evaluate their child’s mental health. The “Opt Out” policy permits schools to hand out checklists and questionnaires to children in classrooms with innocuous questions regarding feelings, emotions, bullying, sleeping patterns, just to name a few. A child’s answers would be part of an evaluation for mental health disorders like anxiety and depression. Parents/caregivers can talk to their children honestly on how to avoid mental health screening in the classroom, its subjectivity, and what to look for in order to do this. Let your child know that he/she has the right to approach his or her teacher and “Opt Out” of these psychological questionnaires. Let your child know that if a teacher or school staff pushes the issue that they are to have that teacher or staff member call you at home or work immediately. Empower yourself and your child with knowledge and know your rights! Have you been told to drug your child? If you are being coerced by school personnel to drug your child, visit FIGHT FOR KIDS for vital data that every parent needs when faced with this situation. If you want to know what you can do to combat any pressure to label or drug your child, fill out the abuse case form and a representative from the mental health watchdog organization, CCHR, will contact you to give you assistance. Is Attention Deficit Hyperactivity Disorder (ADHD) a real “disease”? Could My Child be Simply Creative or Gifted and Talented? 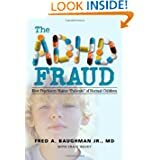 Did You Realize How Characteristics of the ADD/ADHD Child Resemble Those of the Gifted Child and that Both Checklists are Almost Identical? Check it Out ! The Real ADHD Checklist! Could there be medical reasons for my child’s behavior? 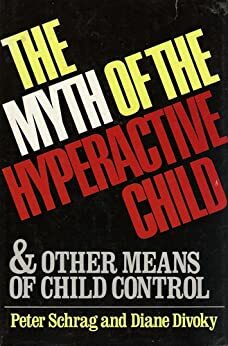 One of the foremost authorities on nutrition, allergies, and many other medical situations that can often cause behavior problems in children, Dr. Mary Ann Block runs a center that does extensive testing on children to rule out the most common causes of ADHD. Visit her site for more information. Did You Realize that there are Many Conditions that Mimic ADD/ADHD and are often Overlooked? Join Us in our Efforts! Spread the word that AbleChild is out there to providing parents/caregivers with all information needed to make an INFORMED decision. Connect with Us on Facebook and Remember to Like Us and Share Our Message!